Do you have a bachelor’s degree? Are you working in the medical field but would like to expand your career horizon? If you’ve graduated with an undergraduate degree in biology, chemistry, or another major related to the medical field, you might be thinking about going back to school for a master’s degree in medicine. Why not select a program that prepares you for a wide range of career options? The American College of Acupuncture and Oriental Medicine is one of the only accredited acupuncture schools in the nation that combines western and traditional Chinese medicine, allowing students to advance the scope of their medical practice. Here’s a look at why this unique combination might help expand your career horizon. Most acupuncture schools focus on traditional Chinese medicine. 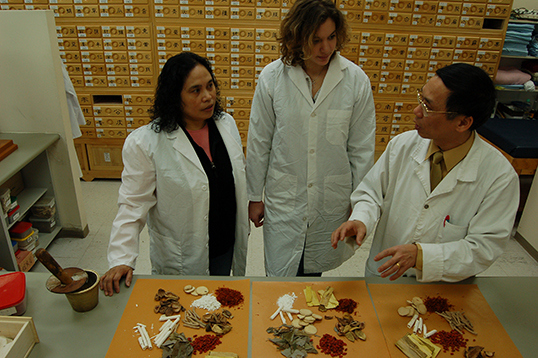 However, this unique Houston oriental medicine college is set apart from other colleges that offer similar programs mainly because of its combination of western and traditional Chinese medicine. Depending on the program you choose, you get the opportunity to learn from both schools of medicine and how they complement one another. This unique opportunity will allow you to offer more than one type of treatment option in your career. At the American College of Acupuncture and Oriental Medicine, students can choose from three master’s degrees, one of which is delivered completely online. The master’s degree programs include the Master of Acupuncture and Oriental Medicine, the Master of Integrative Wellness Management, and, the online program, the Master of Integrative Healthcare Leadership. The online program is ideal for graduates who do not want to commute, live beyond a reasonable driving distance to campus, or would like the flexibility of creating their own schedules. The college also offers dual degree options in healthcare administration, allowing students to enroll in the Master of Acupuncture & Oriental Medicine and either the Master of Integrative Wellness Management program or the Master of Integrative Healthcare Leadership, as well. It’s hard to find an acupuncture school that is accredited, let alone one that also focuses on the importance of western and eastern medicine; however, ACAOM is unlike typical acupuncture schools. The school is accredited by the Southern Association of Colleges and Schools Commission on Colleges. ACAOM is also accredited by the Accreditation Commission for Acupuncture & Oriental Medicine, approved by the Texas Higher Education Coordinating Board, and also approved by the California Acupuncture Board. American College of Acupuncture and Oriental Medicine is an accredited acupuncture school. ACAOM also features a full-service acupuncture clinic in Houston.